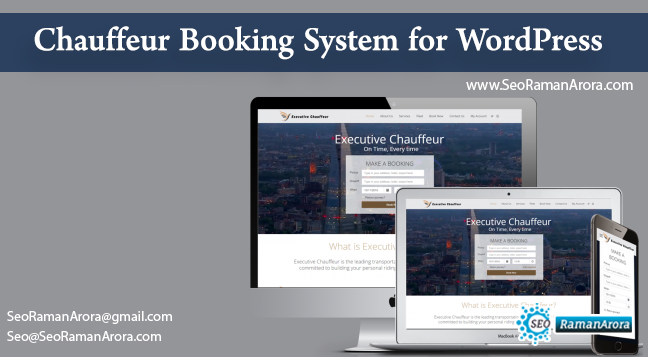 Are you looking for the best chauffeur booking system for WordPress? You are at the right place. Here, I will be discussing one of the best Chauffeur Booking System for WordPress. This plugin can be used by both the limo and shutter operator. Chauffeur Booking System for WordPress provides a simple and step by step booking process with the online payments, SMS notifications, Email notifications etc. With the help of Chauffer booking system, you can easily take the online reservations for any route for example airport, city tour, point to point support and more. It will help you in improving the customer service and manage the chauffeur business online. The plugin comes with the responsive layout. The plugin elements can adapt perfectly to the size of the screen. The plugin comes with three different types of services – Distance, hourly and flat rate. The plugin gives the possibility of using all or the selected services. The navigation of the plugin is based on the convenient steps. The plugin can calculate the live route, total distance and total time. The plugin drays a route map and calculates the total time and distance of the journey. Chauffeur Booking System for WordPress also gives you the freedom of customizing the booking forms according to your requirement. The Chauffeur Booking System for WordPress allows you to choose whether you want to offer the extra time, specify minimum and maximum rental time of the vehicle and set the advanced booking time. You can also specify the business hours for each day of the work. You can exclude the dates that are not available for booking. You can define the list of recipients and select the sender’s email account from which the message will be sent. The plugin has multiple payment methods including Stripe, PayPal, Cash and Wire transfer. The Chauffeur Booking System for WordPress is an awesome plugin for both the limo and shutter operator. The cost of the plugin is also pocket-friendly. The plugin will cost you only $40 and you will get free support for 6 months. You can increase the support for 12 months at $13.13 only.